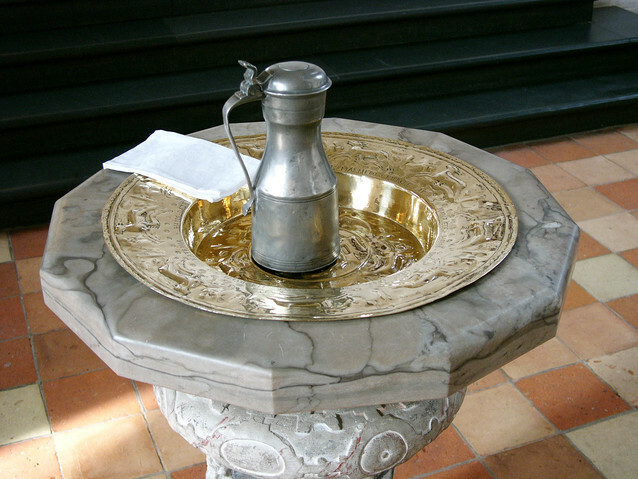 Baptisms are held on the first Sunday of each month during the 10:00 a.m. Mass. It is strongly recommended that the family attend the 10:00 a.m. Mass on the Sunday of the baptism. You must schedule your baptism date by calling the rectory at least three (3) weeks before the baptism. Call the rectory, (504) 947-2853, Tuesday-Thursday between the hours of 9:00 a.m.-2:00 p.m.
All first time parents and godparents must attend a baptismal seminar. The Seminars are scheduled by appointment. It is also recommended that the baby be left with a sitter. Please call to reserve your spot, 504-947-2853. The seminar, depending on how many couples attend, usually lasts about one hour. A certificate of birth from the State that declares paternity on the part of the mother and father is sufficient to enter the name of both parents into the baptismal record.